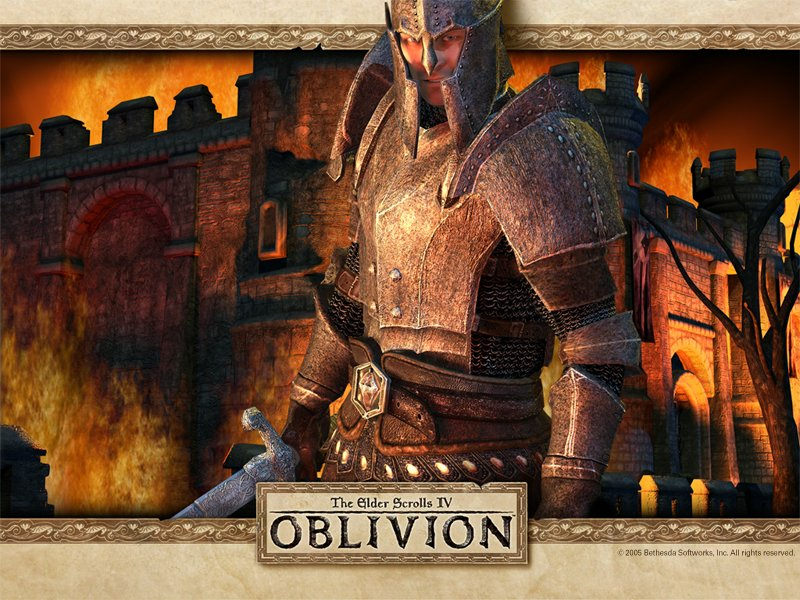 Elder Scroll 4, (Oblivion) is the 4th game in the Elder Scrolls series. The game continues in the same vein as the previous in the series featuring an action based combat system, 1st person or 3rd person views are available to roam around large, go where you like areas. The player's class and race determines the abilities at the start. The game allows for the player to develop multiple types of characters without being tied or restricted to a specific role. and receive various bonuses for each skill. The skills of the MOB's are leveled to a similar or slightly higher than the player. Armour and Weapons and gradually degrade over time and need to be repaired either by using the Armorer skill or NPC's. Enhanced items (Armour, Weapons, Rings, Clothing, Amulets etc) found in the game for protection, reflection resistance and special activities like invisibility or underwater breathing. The game world in Oblivion is approx 40 square kilometers (16 square miles) in size.